No matter the type of business that you do, you need to realize that business acquisition opportunities will always come up. However, before you jump at any opportunity that presents itself, realize that it is a big step and even bigger commitment because it can either make or mar your progression. If you want to identify potential acquisition targets, there many things that you need to consider. First, you need to discover the opportunities that are available in the market and what type of transactions are involved. This helps you determine if spending money on a new business is really worth it and how soon you can recoup your investment. It is imperative that you listen for the pulse of the market instead of going with a hunch or your “inner voice”. This helps you determine if your potential business is a safe haven and tells you whether or not to capitalize on opportunities as they present themselves. When it comes to identifying these acquisition targets, you need to know what you are looking for. Some of the best people that can help you accomplish this are people that work closely with you. These people include business partners, repeat customers and contractors. If you are up to it, you can send out some foot soldiers to trade shows or exhibitions and have them find out where it is happening. They are in the forefront and so can help you see which business acquisition best fits the thrust or direction of your company. Furthermore, the Internet is always a good resource to also use. You can check Yahoo Finance or Google and see a list of the competition alongside every search query. This gives you a good idea about the market you are about to venture and helps whittle down your targets. Careful research is crucial if you want to identify these acquisitions that meet your expectations. Ensure that you perform the task with peace of mind, getting rid of any pre-conceived ideas that you might have about any business or company that you know. Consider the services of a specialist firm that can carry out an industry search and identify companies of interest. They enlarge the dragnet and help bring neutrality to the whole process. Do not forget to also contact industry associations and make use of trade directories as well. 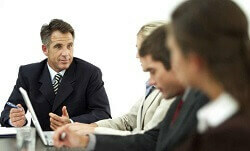 Leverage on the knowledge of senior management people. They are sometimes privy to what the rest of us do not know. HAVE SOME RECOMMENDATIONS ABOUT SELLING BUSINESSES? LEAVE THEM AS A COMMENT. Thanks for the great post. I’m a Newbye in this huge and complicated world, but with your posts, I’m sure I will figure it out! I Want to jump into this. I’m tired of my regular job and I want an extra Income… I will contact you soon for a quote!